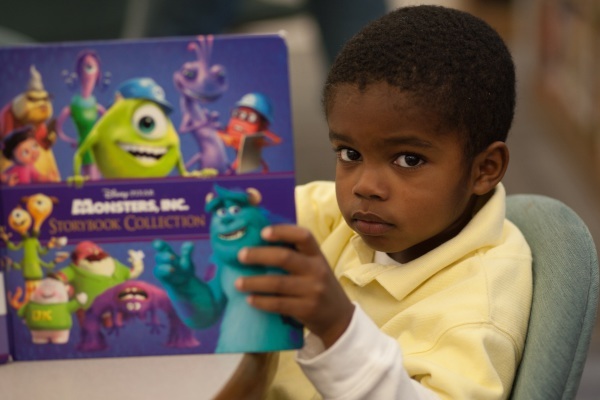 Nestled in the beautiful Hillcrest neighborhood of Southeast D.C., Anne Beers Elementary School offers a rigorous PK3-5th grade academic program with an emphasis on Science, Technology, Engineering and Math (STEM). Our award-winning faculty is committed to providing our young scholars with an exceptional educational foundation that will prepare them for a lifetime of achievement. Anne Beers Elementary School Principal Gwendolyn Payton is a pioneer and an innovator! Payton joined District of Columbia Public Schools (DCPS) in 1991 as a teacher for Emery Elementary School in Northeast D.C., where she stayed 14 years. She then became the assistant principal at John Burroughs Elementary School and later transitioned to principal at Anne Beers in 2006, where she proudly serves today. To her credit, through a partnership with the Flamboyan Foundation, Payton has greatly increased enrollment and family engagement at Beers. 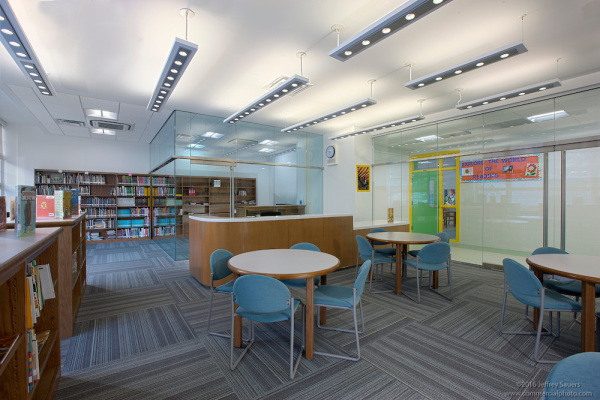 During her tenure she also initiated the first specialized instruction program with a self-contained classroom. Payton has implemented various initiatives to include the School-wide Application Model (SAM) and the Hochman Writing/The Writing Revolution. Furthermore, she has championed STEM programs and partnerships, and Beers now serves as a STEM Catalyst School. Principal Payton values higher education and professional development, having hosted several student teachers from local universities and mentoring three principal residents who have all gone on to lead as principals in DCPS. Last year, a resident teacher from the Urban Teacher Center gained her experience by teaching alongside expert teachers at Beers, and two more will experience teaching during the 2016-17 school year. Payton holds a Master’s of Arts (MA) degree in Early Childhood from the University of the District of Columbia, an MA in Administration from Trinity University, and an Executive Master's in Leadership from Georgetown University. 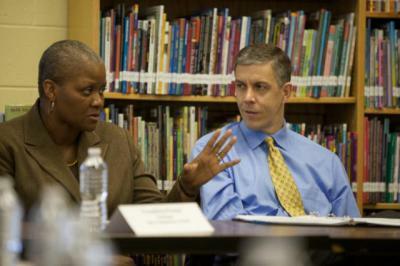 Beers Principal Gwendolyn Payton (left) with former U.S. Secretary of Education Arne Duncan (right). When we were shopping preschools, Beers was the only school that didn't feel cookie cutter AND was implementing the educational activities that research indicates makes for a strong elementary education. Four years later we have two kids at the school and have never questioned our decision to join this community. Our daughter started off at Beers in PK4 and is now in 2nd grade and she has grown by leaps and bounds. In her first year she was reading and she's now performing above grade level in all subjects. Couldn't ask for a better start! Not only are my children being challenged academically, they are excited to go to school!. What makes Beers great is FAMILY: the environment they create and the value they place. I am new to DC but Beers was always the ONLY option for my daughters' elementary school education. I love the curriculum and the environment for learning far exceeds any of my expectations. We are a family [at Beers] and my daughter is blessed to be here.